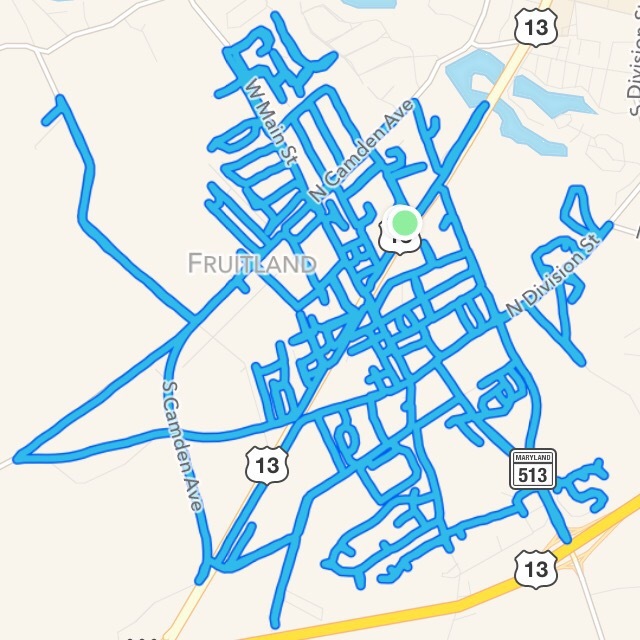 Strava is an excellent place to log your miles and keep track of your progress, but it is also an excellent place to discover crazy ideas. In the early spring I was scrolling through Strava and saw that my buddy Harvey “blacked out” his neighborhood in Colorado. He basically ran every street in his neighborhood one morning logging over a dozen miles. The seed was planted. The seed started to grow. Demone and I once ran streets in the neighborhoods around Salisbury University on a random Monday before work earning a sticker-less half marathon and then the wheels really started to spin. I thought about blacking out an entire town. My town. Fruitland. Mark also lives in Fruitland less than a mile from my house and I causally brought up the idea of running every street in Fruitland. A few days later he surprises me by presenting a master plan to run every single street in our town. He said it would be over fifty miles because many of the roads would be “out and backs”. Wow. I didn’t think Fruitland had that many roads. Little did I know. Our goal was to complete the 50+ miles in less than a week. We figured we could do it by breaking the distance into five runs. Mark plan the entire route (or routes) out. He printed out turn by turn directions to make sure every road would be run and we decided on the week to go for it. We picked the week of May 23rd and we planned to run Monday, Tuesday, Thursday, Friday and Saturday. Wednesday would be our rest day, which worked out well because I was out of town for work that day anyway. The plan was for him to track individual runs in his watch and I would track the entire run on my watch, so would use a feature called “resume later”, which worked out perfectly. 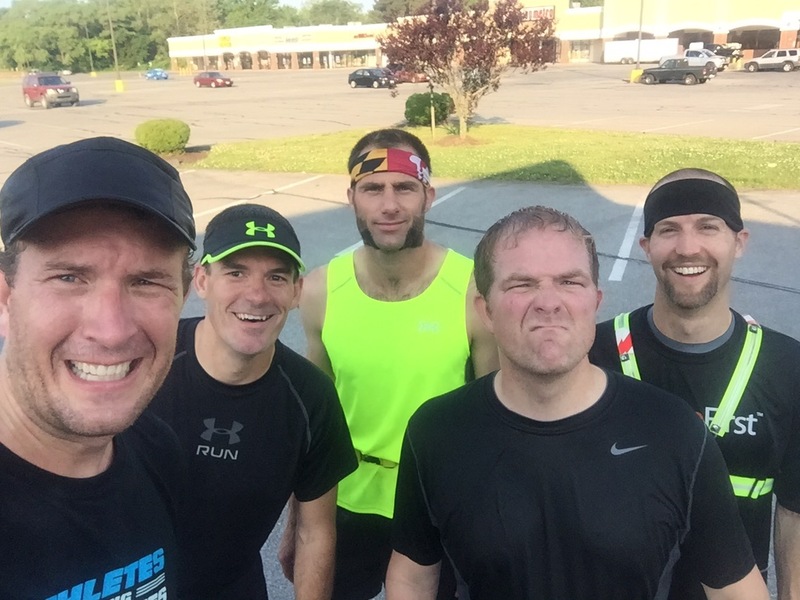 We decided to make our first run a night run, which didn’t make a lot of sense considering we were running the most dangerous streets of Fruitland during the first run. I believe we both had plans that morning so we ran at night after my kids went to bed around 9pm and finished a little before 11pm. It was a warm evening but I believe the excitement of the run kept up moving at a fairly good speed. Tuesday morning came early. We planned to meet at 5:30 exactly where we ended the day before, which happened to be right by my house. Our legs were a little tired from the run less than 7 hours before. It was a quick easy run. We barely spoke from sleepiness, but we got it done. After a break on Wednesday we started up again running the parts of Fruitland near Crown Sports’ center on Thursday. Matt Jones joined us and cranked up the speed. He kept us focused on a nice even pace that helped us put a half marathon behind us for the day. 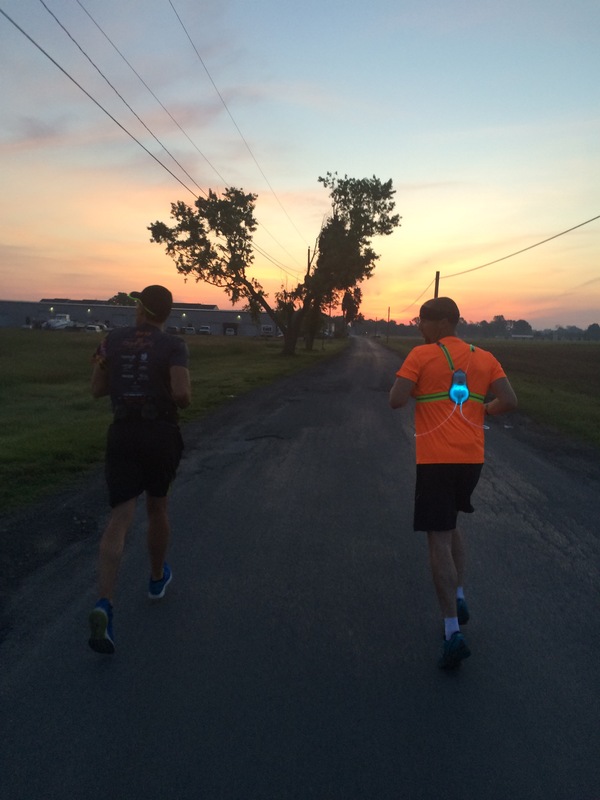 It was an easy pace for Mark and Matt, but I was pushing it at the end. It felt great. How did we end up seeing a drug bust at 5:45am in Fruitland? Not sure, but we did and it happened on the day Melissa joined us. She ran seven and a half miles and although it was another warm morning we were able to fill in another piece of the puzzle. We must have saved the hottest day for the last day. It was in the mid 70s when we began our last run and it just kept getting hotter reaching the mid 80s when we finished. It didn’t helped that we decided to wear all black to celebrate the achievement. My brother, Jason, surprised me with a visit for the weekend, so he joined us as did Matt Jones and Gabe. We ran in mostly shaded neighborhoods and tried to keep out of the scorching sun, but we were still blazing hot. Our goal was to finish the last day with a half marathon distance. 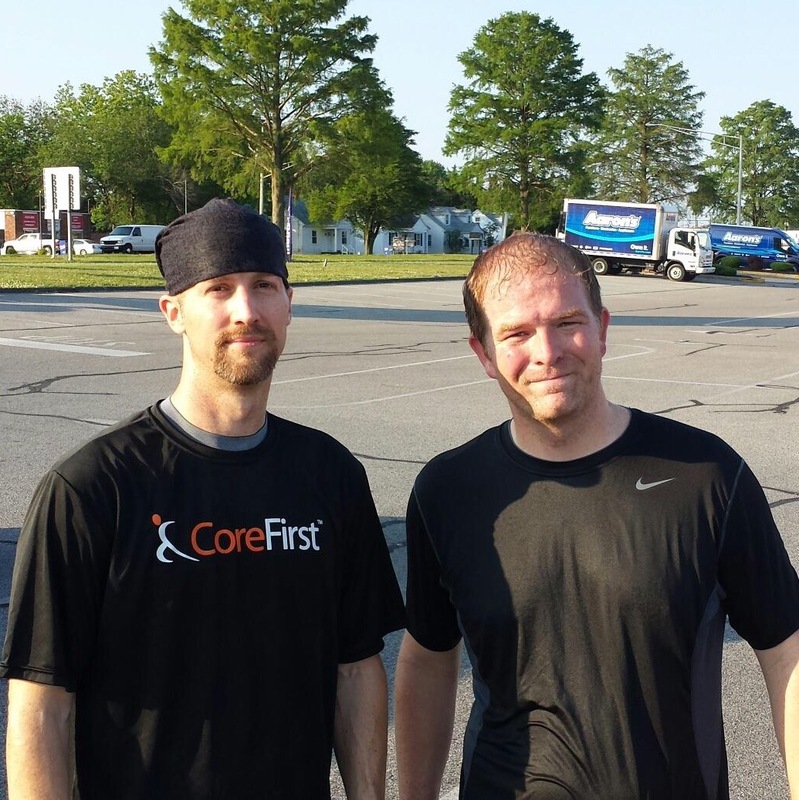 We were able to finish strong even with me lagging behind from the heat and the fatigue. 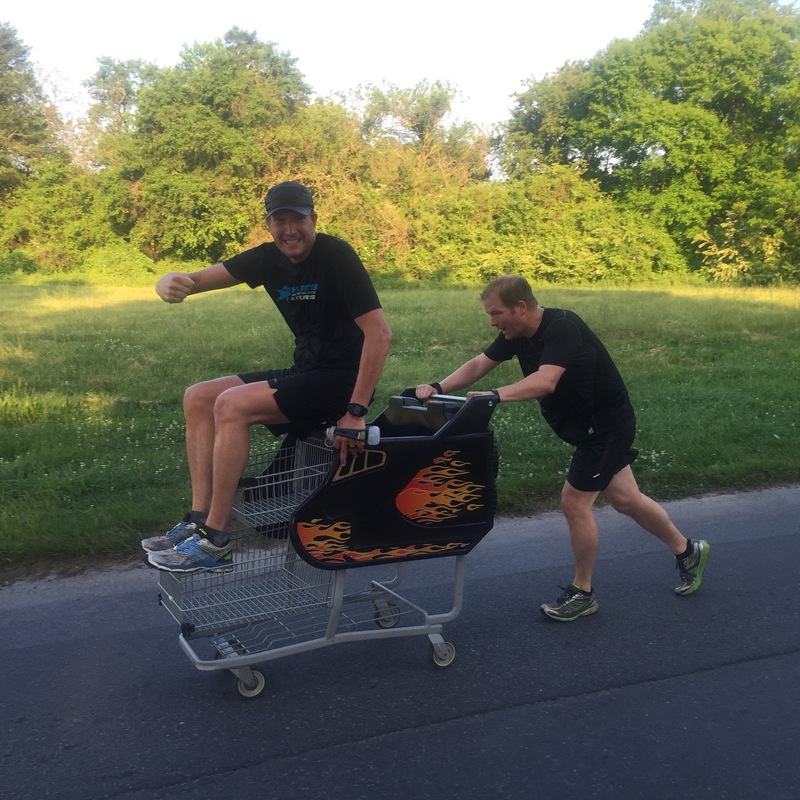 I did muster enough energy at the end to push my brother along in a shopping cart for the last tenth of a mile. Although today was the hottest, it was also the most fun because we were completing our goal and had good friends to finish the last leg with us. After six days we had run every street in Fruitland. In the total we ran 53.5 miles in eight hours and a little over sixteen minutes and blacked out Fruitland.